Friday, May 17, 2019 | 7 p.m.
Social Hour with Cash Bar | 6 p.m. Parking is available south and west of Bradbury. Tickets are $35 per person. Shannon LaNier is a 9th generation direct descendant of Thomas Jefferson and Sally Hemings, an enslaved woman. 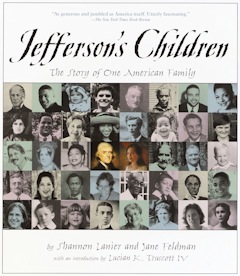 He is co-author of the book Jefferson's Children: The Story of One American Family, along with photojournalist Jane Feldman. The book follows his journey to uncover the history behind his heritage. Shannon co-anchors CW39's "Morning Dose" in Houston. 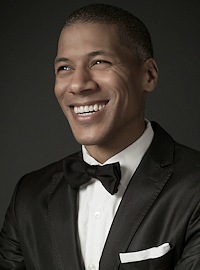 Previously, he hosted "Arise Entertainment 360," a daily culture and entertainment series that aired on BET's sister station, Centric. Read more about the mural in the Kansas City Star. Read more at publisher's website.